By Dr. Richard White, cybersecurity infrastructure, remediation, and program development expert and author of Cybercrime: The Madness Behind The Methods. Much like with individuals, there are steps companies can take to prevent becoming prey to a criminal’s scams. Stores, online businesses, and merchants can stay privy to the crimes. Keep yourself and your business safe by considering these six tips. Work computers should only be used for company procedures. Download security software and keep it up-to-date. Get ahead of criminal activity with strong firewalls and an informed staff. Help employees understand what is normal and what is questionable when it comes to emails and network sites. Block websites that are not safe or have questionable links attached. Encourage your employees to be vigilant and look out for suspicious activity. Communication is especially important with questionable sources. If employees answer your phones, be sure to tell them not to give out any company information. It is best to limit employees’ knowledge of fragile information and data. Inform them of what communication is incorporated in their scope of practice. Continuing education reinforces important aspects of communication and company practices. Encourage employees to ask questions and create an open environment for them to bring issues forward to management. Employees of brick-and-mortar stores can preserve the reliability of their machines by checking each day at the beginning and end of the sales day. Cleaning the machines keeps the checkout area presentable, safe, and inviting for customers. Tell them to pay close attention to the physical characteristics of the card reader. If it looks manipulated or out of the ordinary in any manner, have them notify a member of the management team. For online businesses, regularly verify links and safety of the digital checkout. Make sure your newsletter links are reliable and easy-to-use for your customers. If anything fishy occurs with your company have a customer service line set-up for inquiries. You can never be too safe with your customer’s data. After all, they trust you with their most personal information. This tip is more for the management or executives of a company. A small group needs to take the responsibility of maintaining the baseline of accounts. They can keep track of the expenses and income for the company. It is good to assemble a small committee of individuals in charge of this task. A small group of people will prevent any internal fraud from taking place from a single individual. Establish a standardized process to report problems and fix them as soon as possible. Keep all receipts to encourage responsible and documented business actions. This step can be helpful to create reports to update investors and shareholders of business activities. If fraudulent activity takes place there is verified documentation and a group to catch the culprits from moving forward with their schemes. Establish strong and diverse passwords for digital business information. For physical documents it is best to designate a company-wide organizational system. Shred any paperwork with personal information that is no longer needed. Shredders are a must for the office. Avoid trashing any documents because criminals take pride in their dumpster diving capabilities to harness account information and data. As a business owner or retailer, you set the tone for the culture in your organization. Encourage employees to be aware of their surroundings, digitally and physically. There can never be too much communication of peculiar patrons or strange transactions. Weekly meetings can help employees and employers communicate about the current state of business and safety. Instincts are often right and employees should know that if something feels off, they need to communicate their concern. 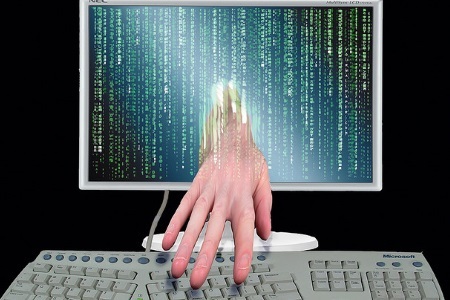 The nature of cybercrime is to get your personal information and use it against you. Businesses with their immense amount of transactions are particularly at-risk. Data is power, and cybercriminals are well aware of this fact. Protect yourself and your business by checking accounts regularly and creating a culture of awareness among your management and employees. Dr. Richard White is an expert in the fields of cybersecurity infrastructure, remediation, and program development. He is author of Cybercrime: The Madness Behind The Methods.